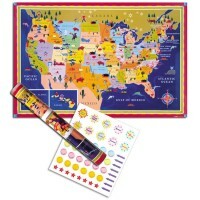 Decorate your child's room with this Janod's beautiful large scale map of the world MagnetiStick 100+ magnetic stickers wall decor! 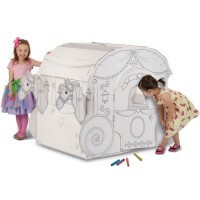 Discover the world in comfort of your room! 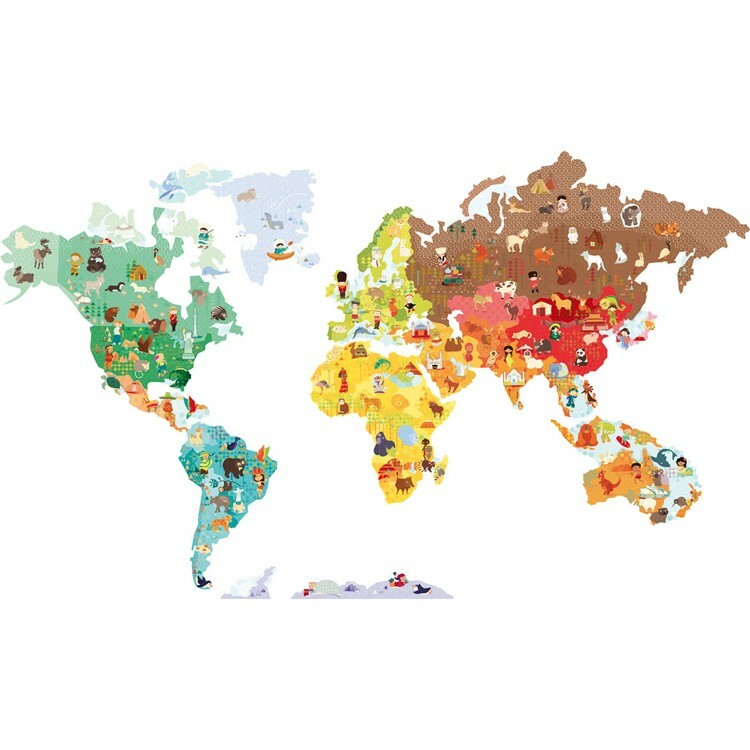 World Map MagnetiStick Magnetic Wall Stickers Sett by Janod is a full set of quality magnetic decals to decorate your child's room. 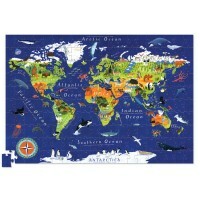 This world map wall stickers set comes with 101 re-usable magnets that can take about 77 x 45 inches of wall. 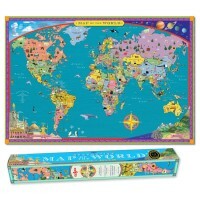 Designed in France, this Janod Magneti'Stick wall set features colorful kids-friendly illustration of the world map. 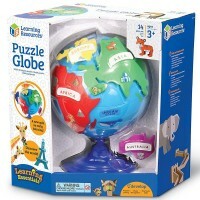 The world map presents color-separated continents, famous landmarks and kids dressed in national costumes. 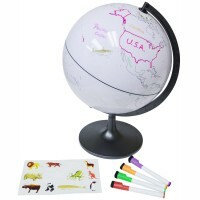 This geography wall decal brings not only the visual introduction of the world map, but the interactive one, too. 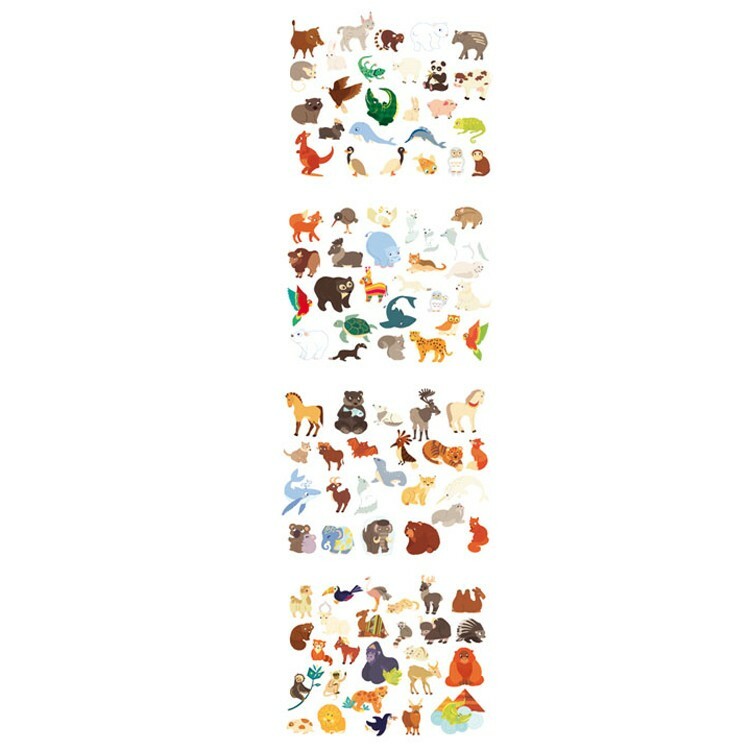 Find the right places for the animal stickers and learn geography hands-on with this Educational Toys Planet's magnetic wall sticker set. 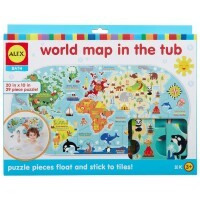 Decorate your child's room and let kids imagination soar to various countries and continents with this world map wall mural! 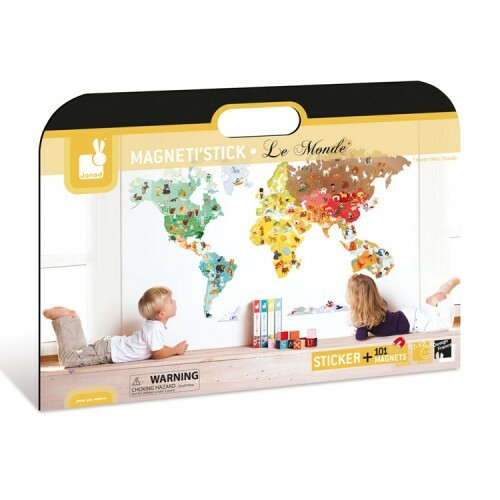 World Map MagnetiStick Magnetic Wall Stickers Set creates educational decor element for your kids bedroom or preschool play room. 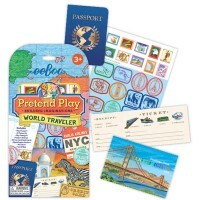 Dimensions of package 0.2" x 76.77" x 45.27"
Write your own review of World Map MagnetiStick Magnetic Wall Stickers Set.